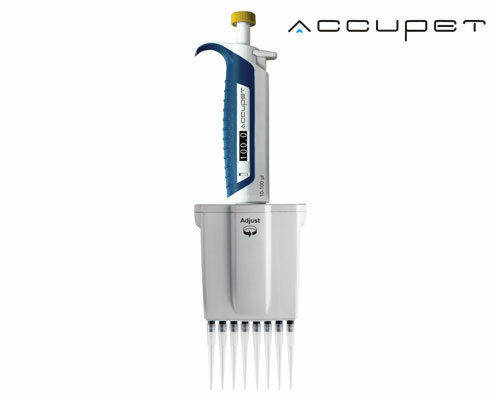 Multichannel Pipettes are the easiest way to increase your output and productivity, while reducing assay, testing and production costs at the same time. 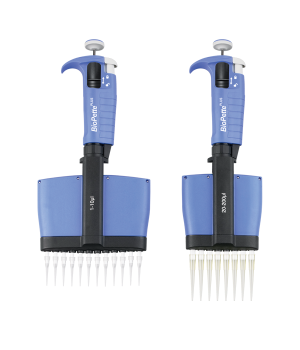 By purchasing a multichannel pipette for your laboratory, you can instantly increase pipetting productivity by 8-, 12-, or even 64-fold (depending on whether you prefer an 8-channel,12-channel, or higher channel pipette). 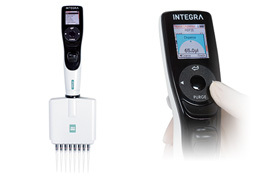 This immediately creates more time in the day for a scientist or lab technician. Instead of spending hours transferring samples to plates, you can reduce the task to minutes. Multichannel pipettes can increase the throughput of your lab and free-up valuable lab time to be spent on tasks other than time-consuming and repetitive pipetting. 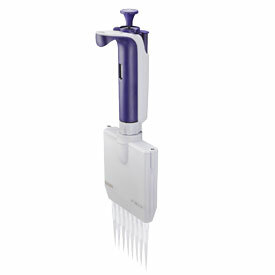 What’s more, reducing the hours consumed by pipetting will reduce the risk of repetitive strain injury (RSI). 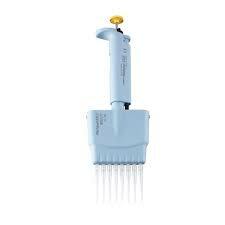 Reducing RSI can save your lab costs by preventing slower pipetting or even shut down of operation due to injury. You can learn more about RSI here. The ability to pipette 8 to 12 samples or dispense reagents into 8 to 12 wells at a time is hugely beneficial when performing assays involving enzymatic reactions, where liquid handling speed, as well as accuracy, is key. 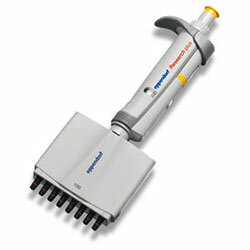 Did you know that there are also 16-channel, 48-channel, and 64-channel pipettes available for 384-well plates? 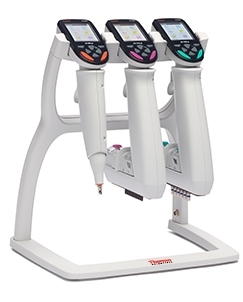 What’s more, with the modern design and construction of the latest multichannel pipette models, it has never been easier, more effortless and more ergonomic to upgrade your lab to multichannel pipettes. 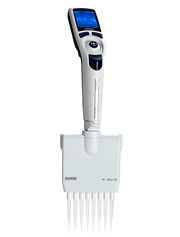 Increasing productivity by this magnitude while maintaining the highest levels of accuracy has never been easier. 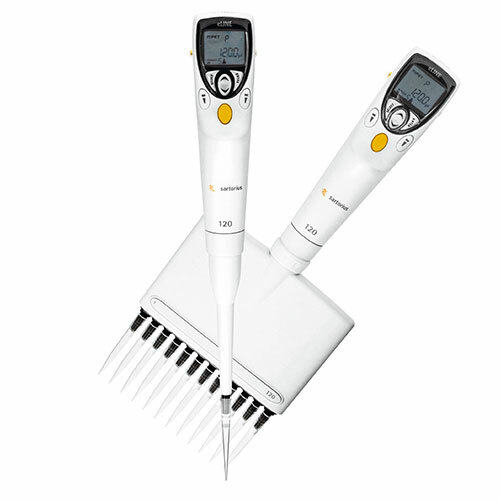 Multichannel pipettes are also available in electronic pipette versions for the ultimate in efficiency, accuracy and precision. Now days, with the prevalence of high throughput assays, no lab can afford to get left behind while labs around you increase their output and productivity, generating results faster than ever before. 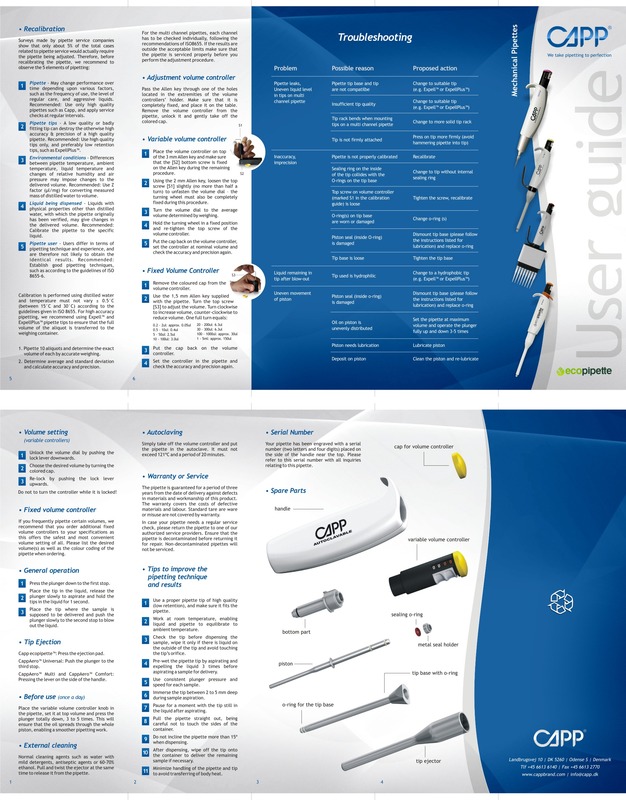 Upgrading your lab to multichannel pipettes ensure your lab keeps up with the pace of modern science. 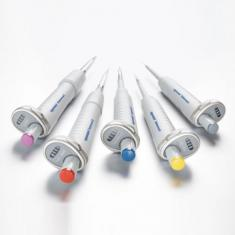 Pipette.com carries a wide selection of the multichannel pipettes on the market today, manufactured by Eppendorf, Oxford Lab Products, BrandTech, Sartorius, Capp, ThermoFisher, and more. 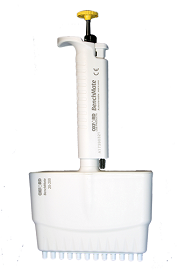 Some of the most popular models are the Oxford BenchMate, Eppendorf® Research Plus, Biohit® mLINE and Capp®Aero. 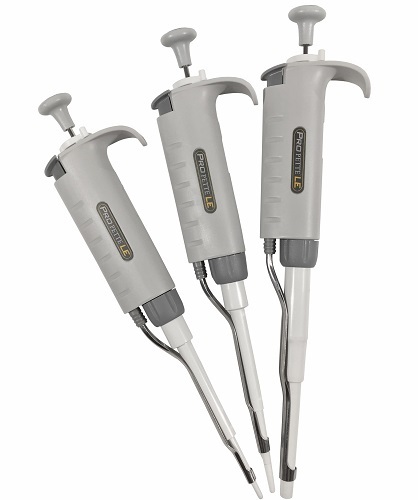 These multichannel pipettes provide the best tip fit, accuracy and precision and are light weight to reduce any strain during long pipetting sessions. 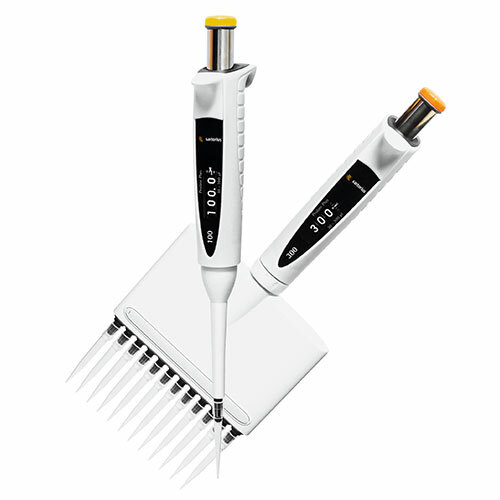 Combining sleek aesthetics along with functionality, these multichannel pipettes will be a great addition to any laboratory space. 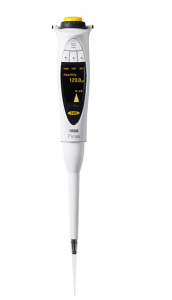 The mLine Advanced Multichannel Pipette is Biohit’s most highly designed pipette, ensuring accuracy and comfort in even long pipetting series. 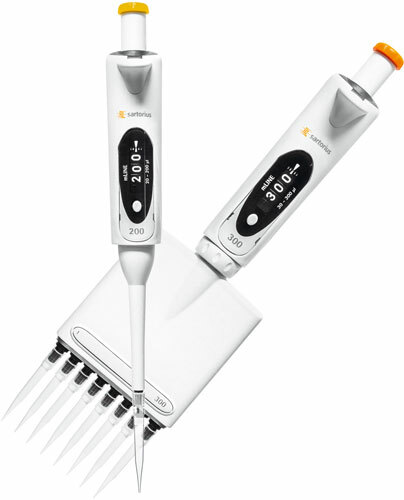 Sartorius Biohit Proline Plus Multichannel Pipettes are suitable for all types of routine laboratory applications. 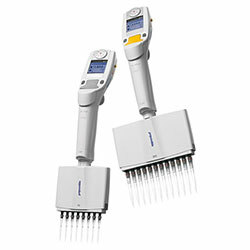 Thermo Scientific Finnpipette F1 multichannel pipettes are available in 8-, 12- and 16-channels models with a wide selection of volume ranges. AVG mechanism ensures a high level of accuracy and precision. 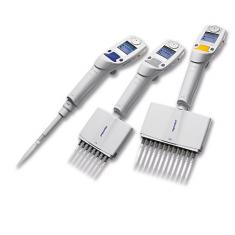 The Socorex Calibra® Digital Multi-Channel Micropipette features exclusive Solid Calibration® technology, providing reliable digital volume selection and superior accuracy and reproducibility for multi-channel micropipetting. The Transferpette multichannel pipeette features a completely redesigned manifold for reduced operating forces, improved tip fit, and easier maintenance.